Photo: Coach Ryan Hybl, Grant Hirschman, Blaine Hale, Quade Cummins, Brad Dalke, Rylee Reinertson and assistant coach Bill Allcorn. 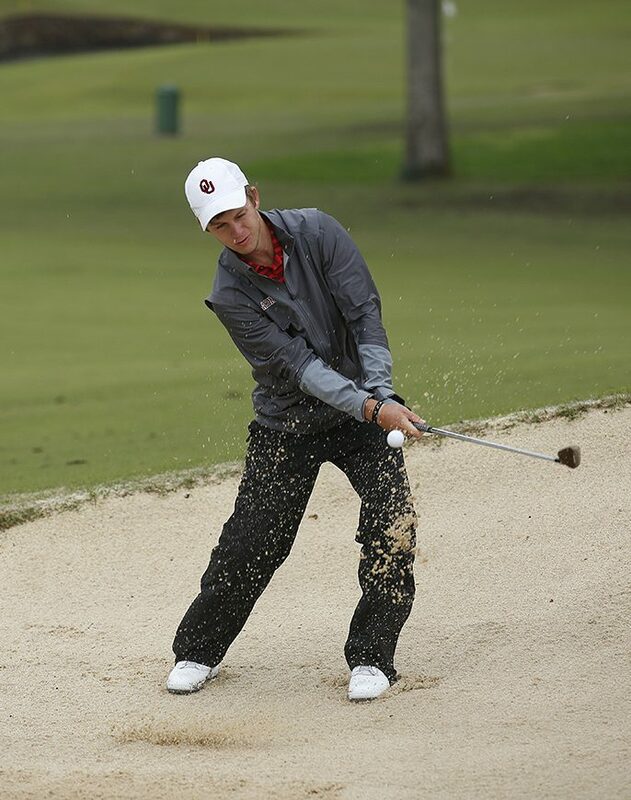 The final scoreboard showed defending national champion Oklahoma with an eight-shot victory over rivals Oklahoma State and Texas at the conclusion of a long, rainy Wednesday at the Big 12 Golf Championship at Southern Hills Country Club. It never felt that close. 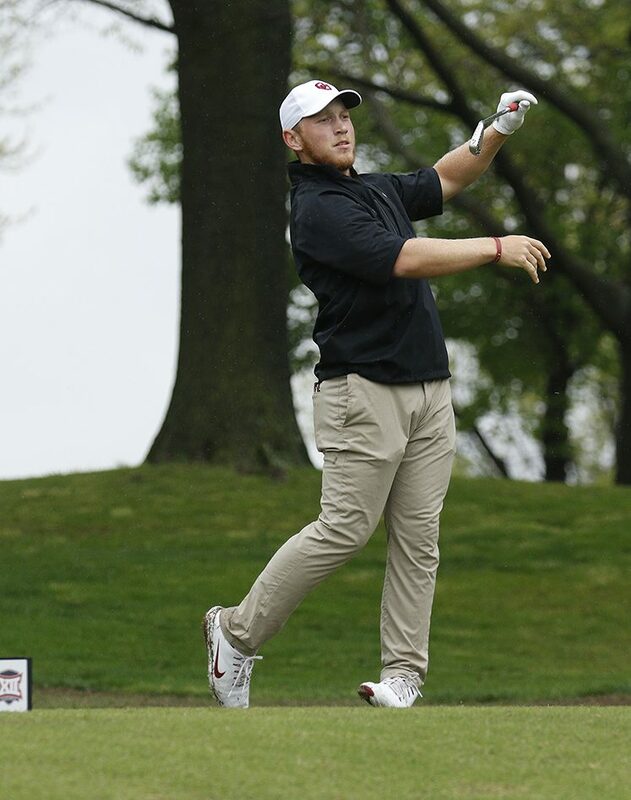 Top-ranked Oklahoma State, on the other hand, was virtually three-legged after the opening three holes, as Zach Bauchou took a triple double on the par-4 second and Sam Stevens was 4-over through three holes. 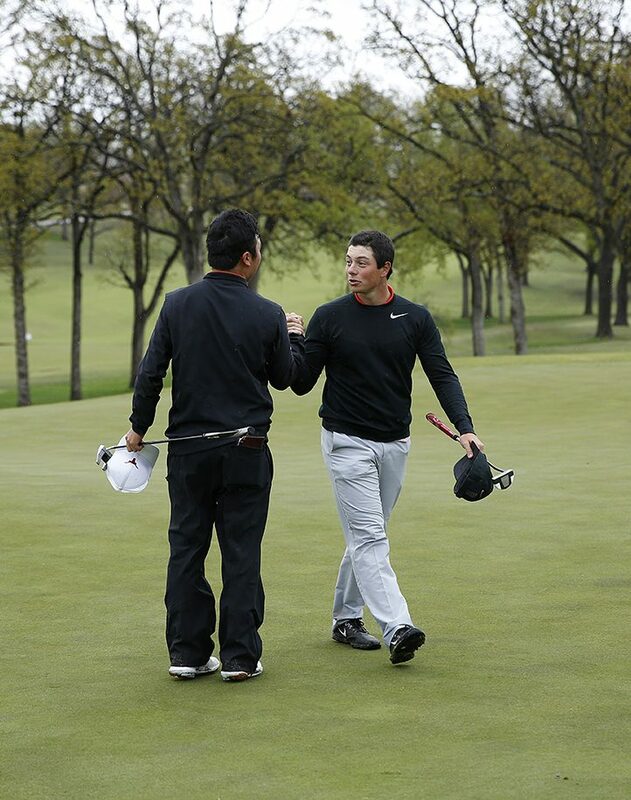 Both finished at 6-over 76, meaning the Cowboys had to count one of those scores, making a comeback unlikely. 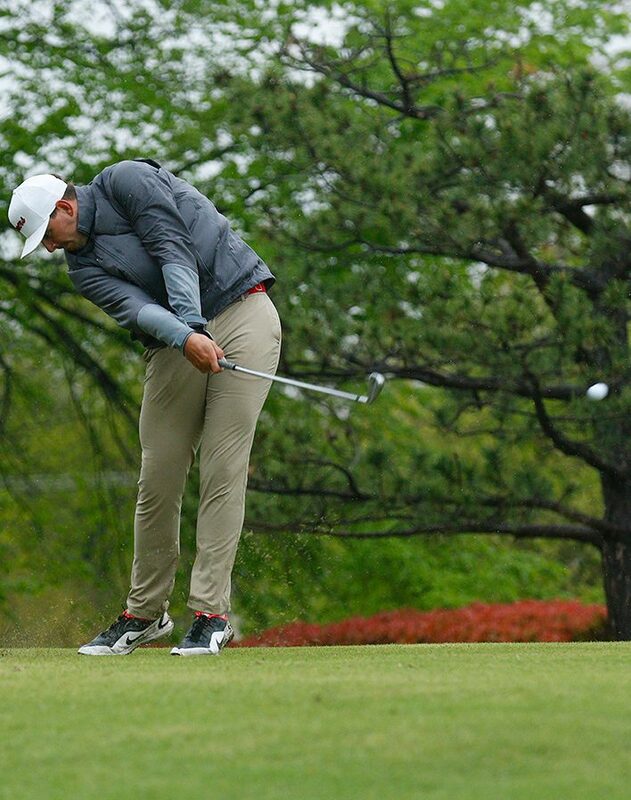 Senior Kristoffer Ventura led OSU with a 1-under 69 that vaulted him into a four-way tie for first at 3-over with OU’s Grant Hirschman, Doug Ghim of Texas and Jeremy Gandon of Kansas State. 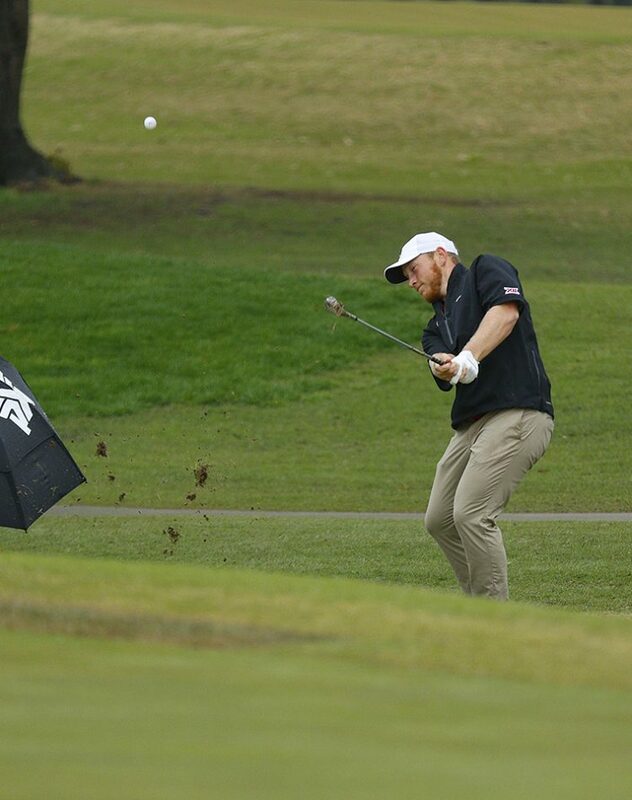 Ventura was the only player in the field to break 70 Wednesday, helped by an eagle on the drivable par-4 17th. 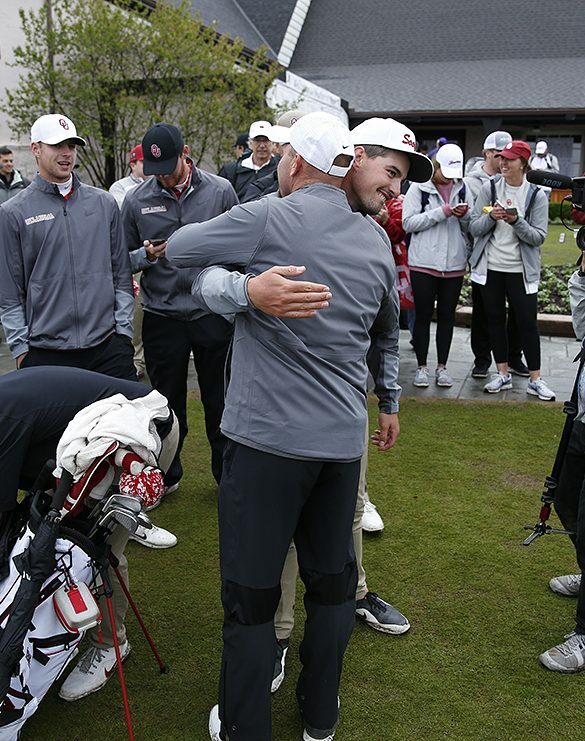 The Cowboys have now finished behind the Sooners in their last two events and will likely not be paired up with them in regional play, but should meet again at the NCAA Championship May 24-30 at Karsten Creek in Stillwater. The losses to their in-state rivals are not lost on Ventura and his teammates. While the Cowboys struggled early, Oklahoma got off to a smooth start and the lead quickly ballooned as Iowa State struggled along with OSU and Texas. 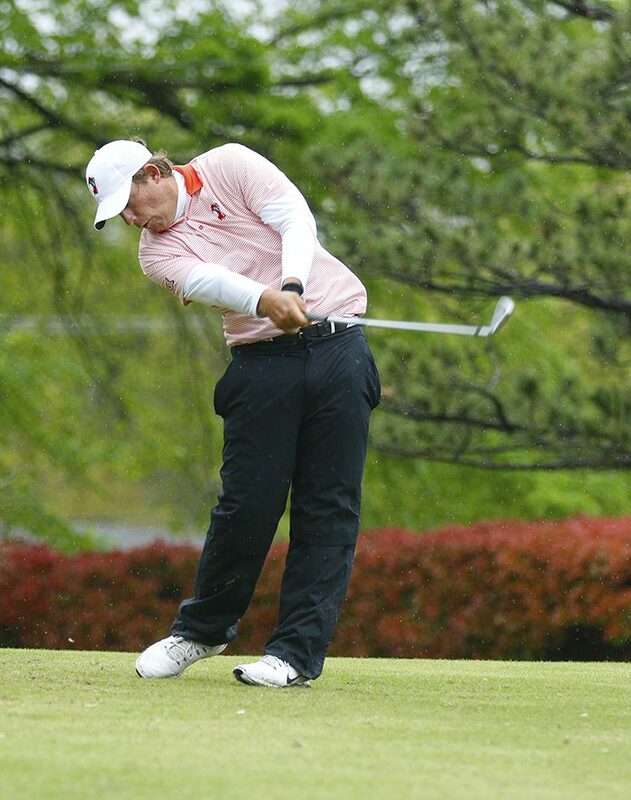 Blaine Hale shot 70, Brad Dalke 71 and Quade Cummins and Hirschman each shot 73. “For Brad and Blaine to go out and shoot those rounds in these conditions was really strong,” Hybl said. 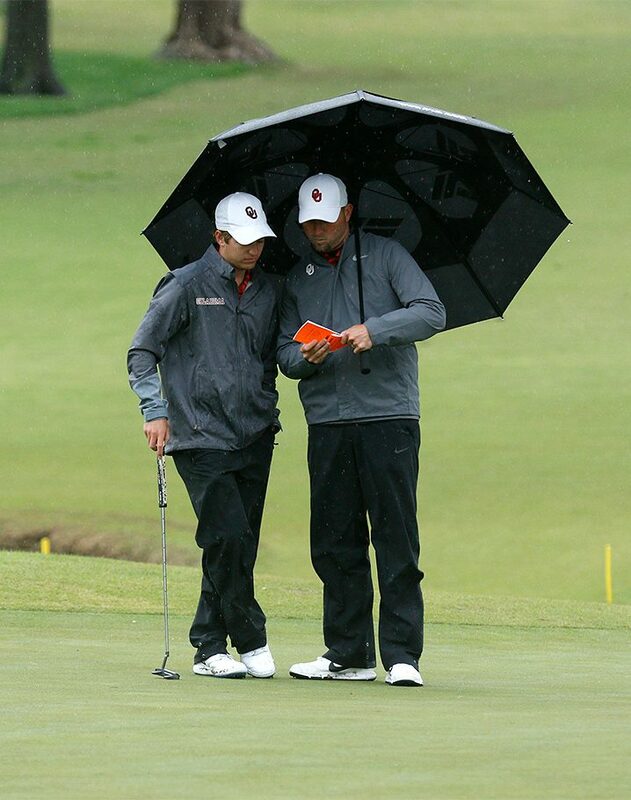 The Sooners had a final-round of 7-over 287, two shots better than both OSU and Texas. 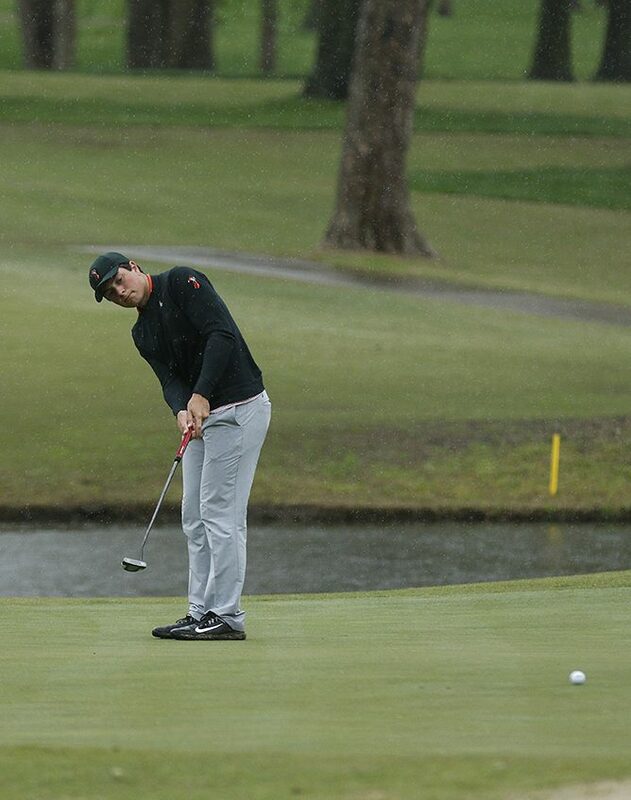 Iowa State shot 296 to finish fourth 11 shots back, while Baylor also shot 296 and took fifth. 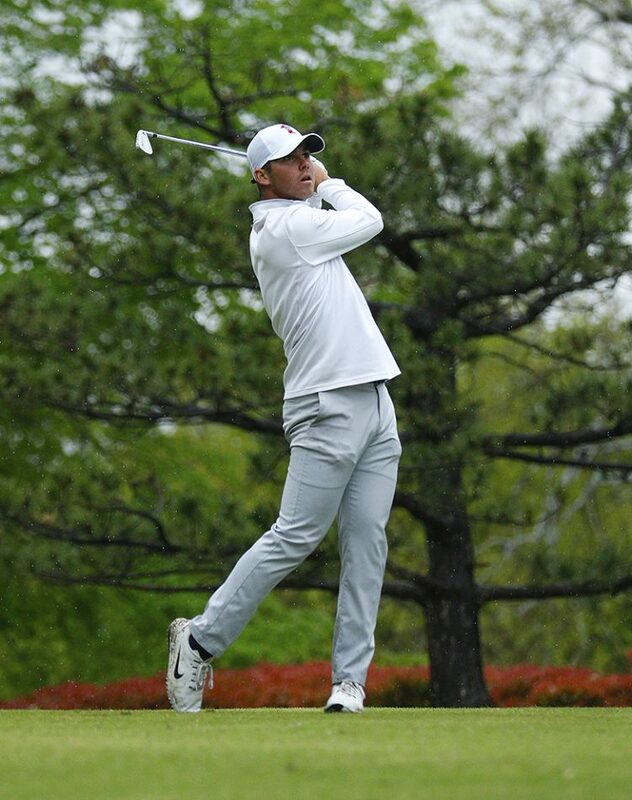 Hirschman had a one-stroke lead in the individual race with all his competitors finished after he made an adventurous par on the short par-4 17th, hitting his drive pin high left of the green, but then chipping over the green, back on and making a 10-footer for par. 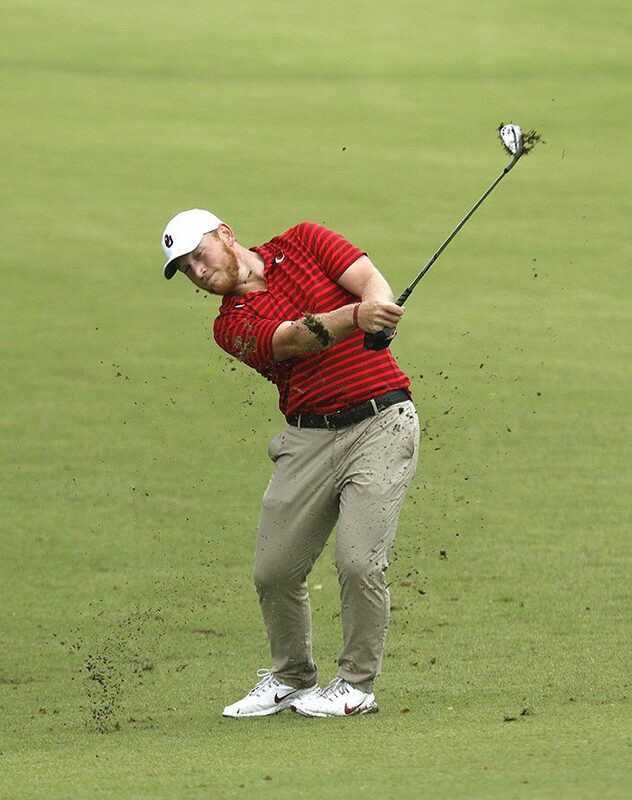 To win outright, he needed a par on the difficult closing 18th, but hit his second shot thin with a 6-iron and wound up short in a greenside bunker. 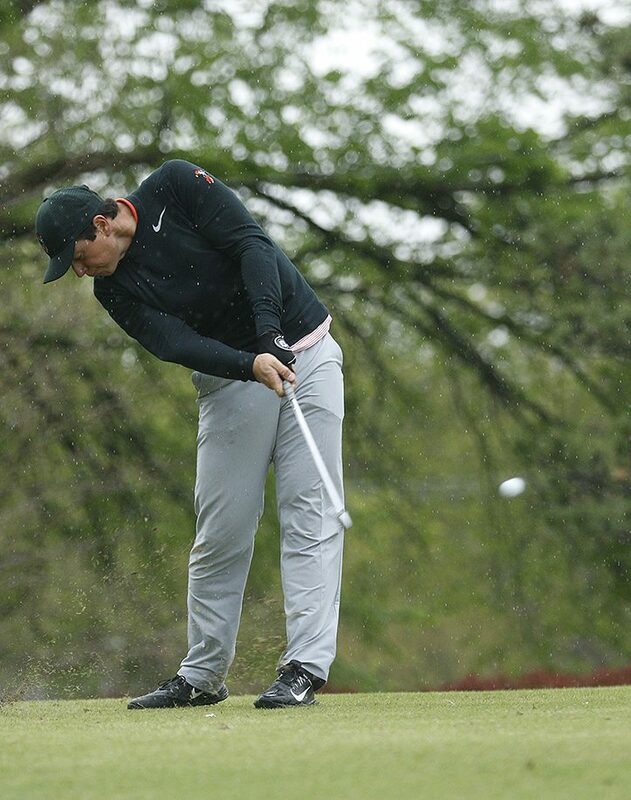 He blasted out to 17 feet and narrowly missed the par putt coming back. Hirschman said the team victory meant more than the lost opportunity to claim the individual title for himself. 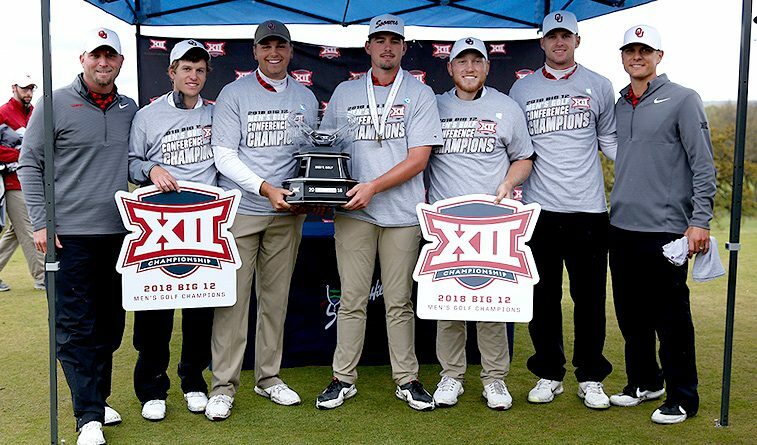 Knocking off OSU for the Sooners first Big 12 Championship since 2006, also at Southern Hills, made it sweeter. 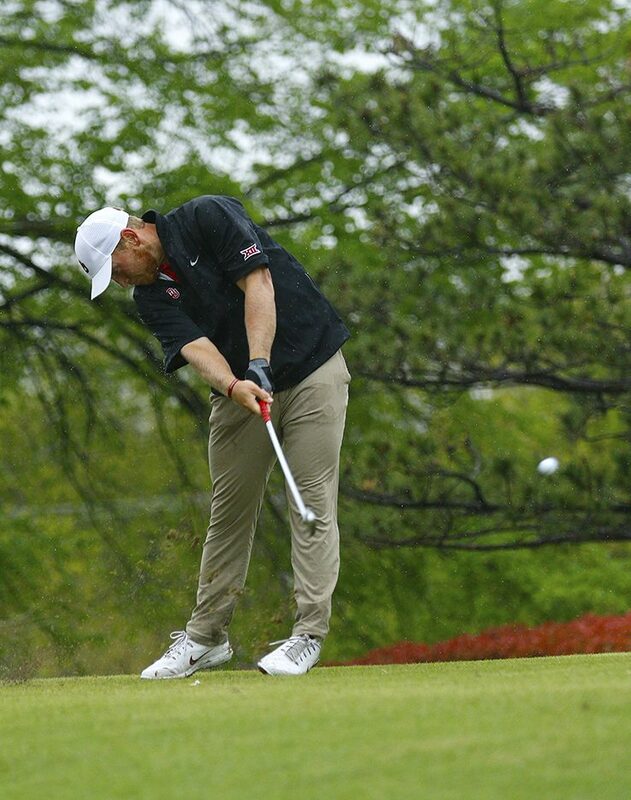 OU will host an NCAA Regional May 14-16 at the Jimmie Austin OU Golf Course. If, as expected, both OU and OSU are No. 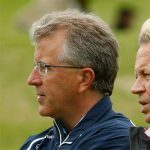 1 seeds, they will play in different regionals. 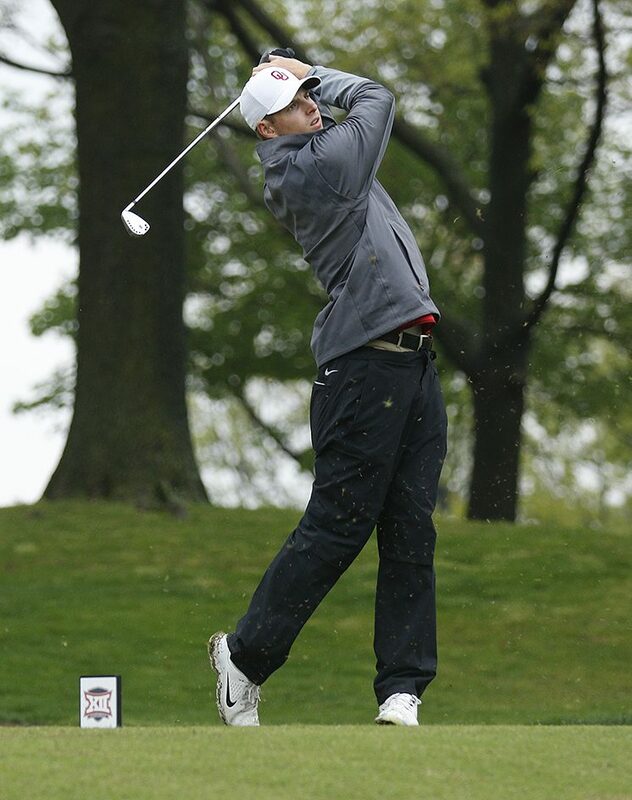 Speculation is OSU will be sent to a regional at the Scarlet Course at Ohio State University. 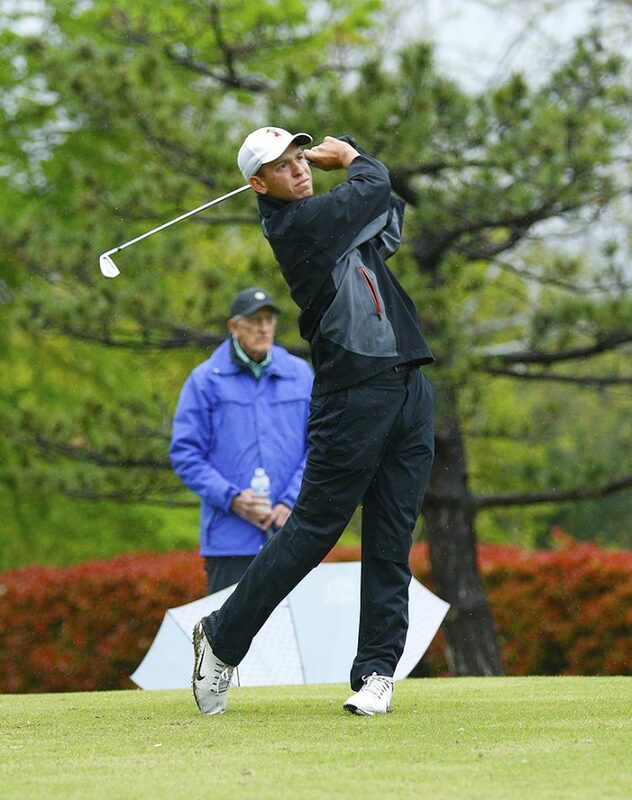 Regional fields will be announced on The Golf Channel on May 2 at 4:30 p.m. CDT. 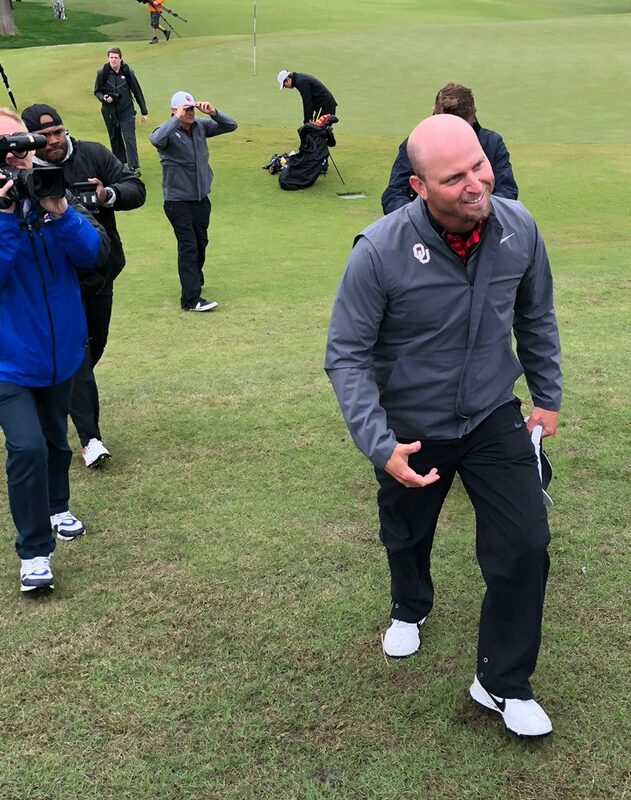 OSU coach Alan Bratton was left to ponder the Cowboys’ slow starts in several rounds and inability to put any heat on OU Wednesday. 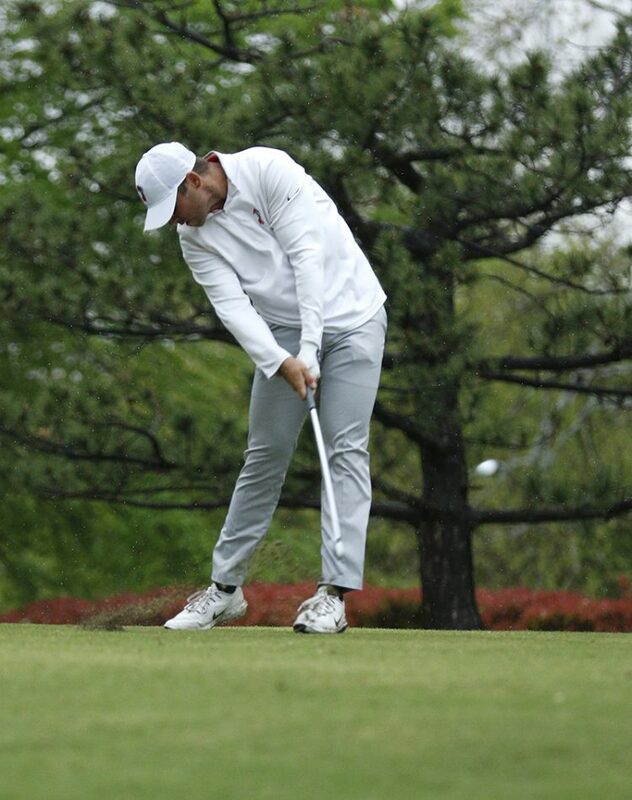 Freshman Matthew Wolff shot even-par 70 and finished tied for fifth at 5-over. 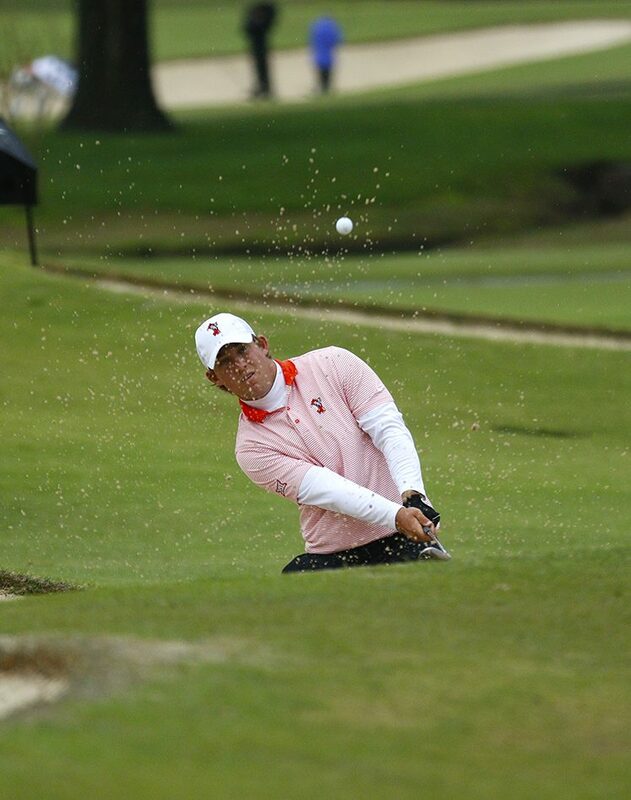 Viktor Hovland shot 74 and tied for seventh at 6 over. 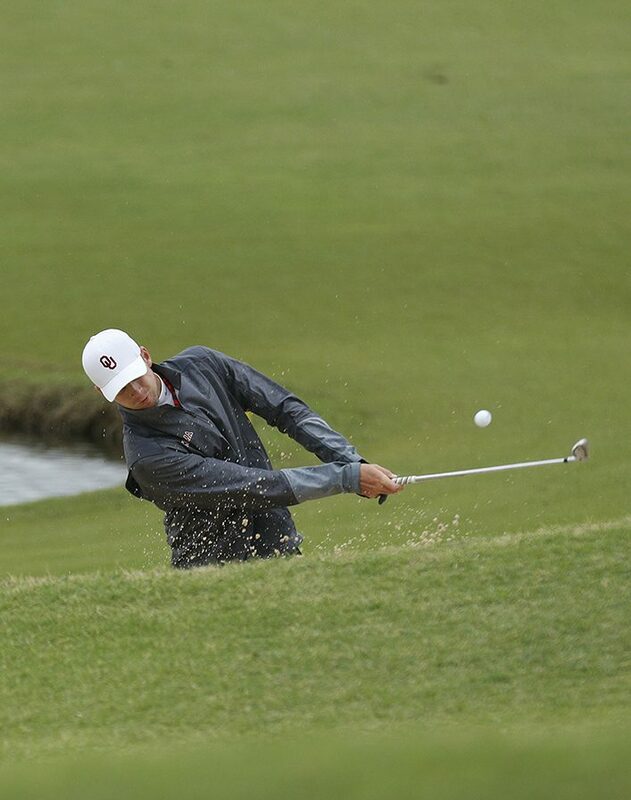 Notes: Hirschman became the first Sooner to claim a share of the Big 12 championship since Anthony Kim won outright in 2005 at Whispering Pines Golf Club in Trinity, Texas. 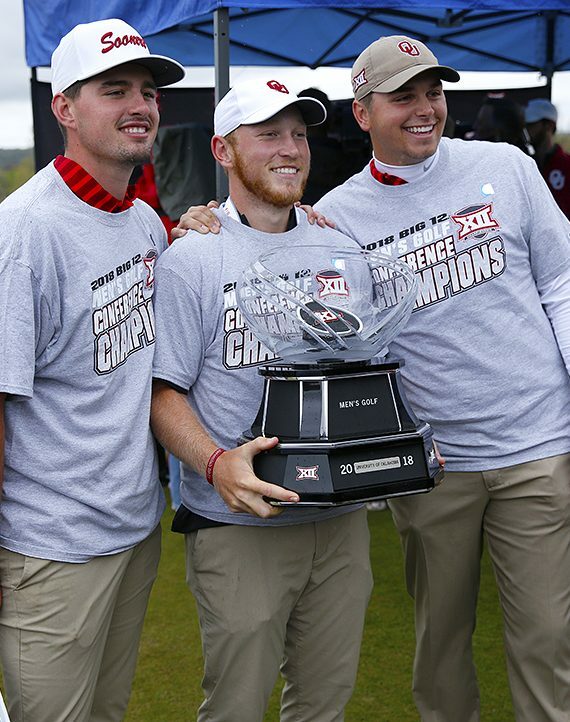 The last OSU victory was by Stratton Nolen in 2016, also at Trinity Forest. Nolen is on the current OSU squad. With career win No. 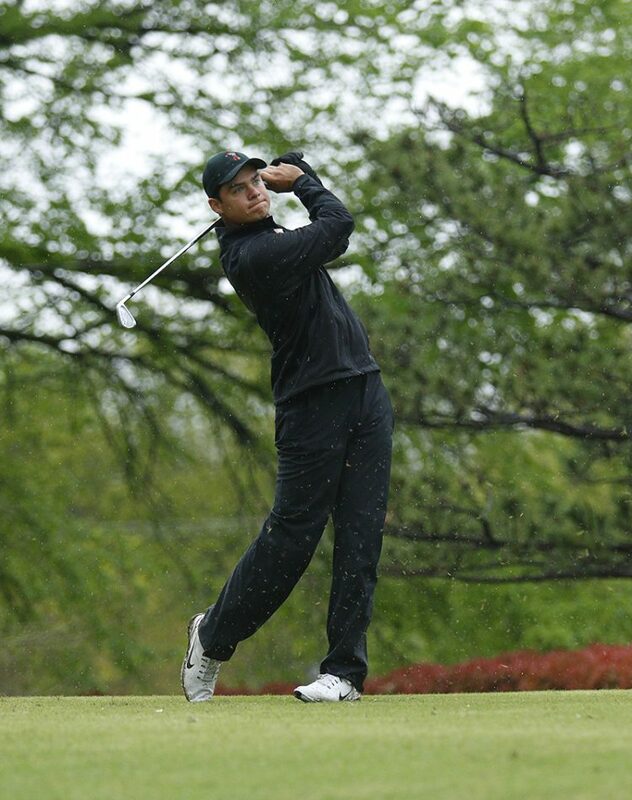 3, Ventura joins Leif Westerberg (1997), Charles Howell (2000), Anders Hultman (2002), Hunter Mahan (2003), Pablo Martin (2007), Rickie Fowler (2008), Morgan Hoffmann (2009, 2011) and Nolen (2016) as Cowboys to win the Big 12 individual title. 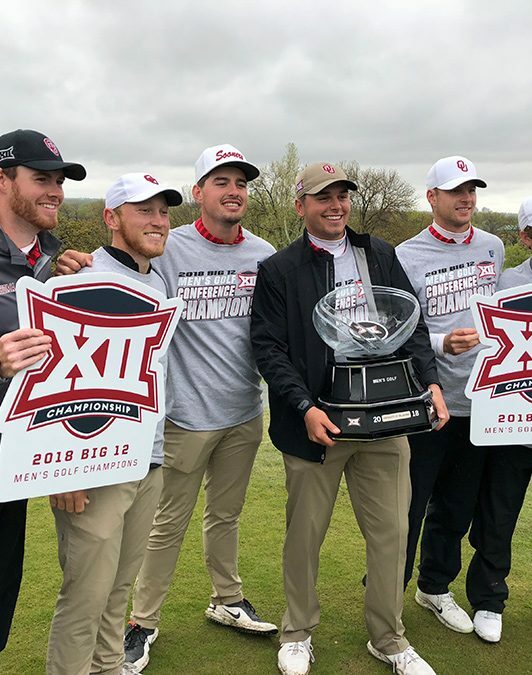 OU Sooners; Brad Dalke, Quade Cummins, Blaine Hale and Rylee Reinertson. 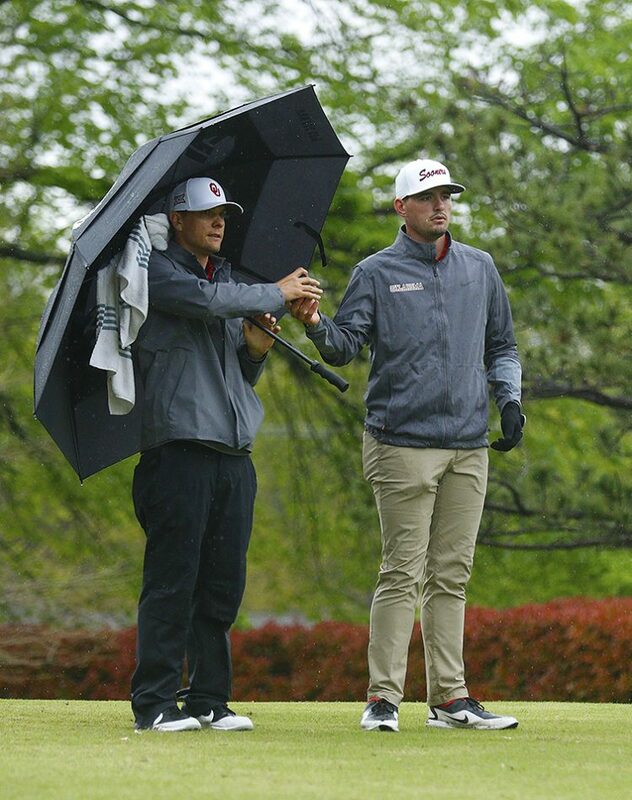 OU golf coach Ryan Hybl. 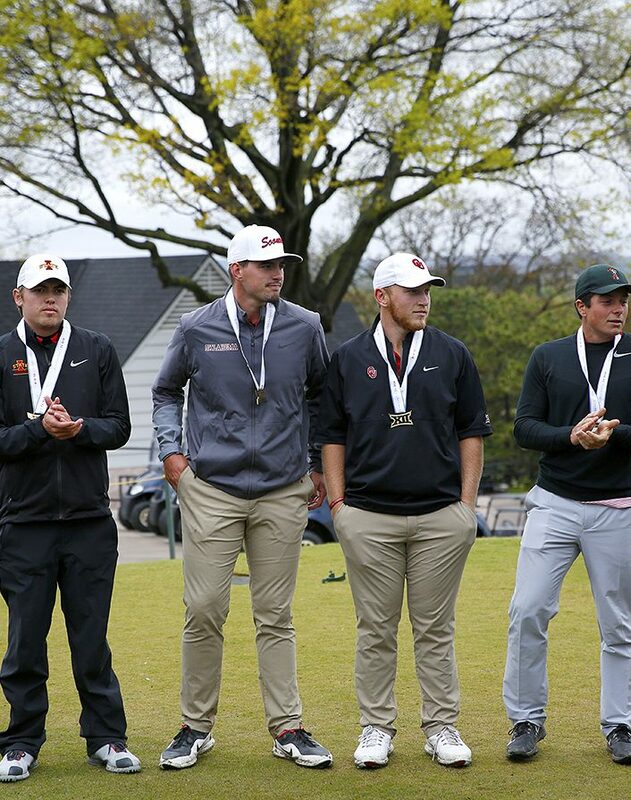 Iowa State player, Quade Cummins, Brad Dalke and Viktor Hovland. Quade Cummins, Brad Dalke and Blaine Hale. Riley Casey and Quade Cummins. Grant Hirschman and coach Ryan Hybl.